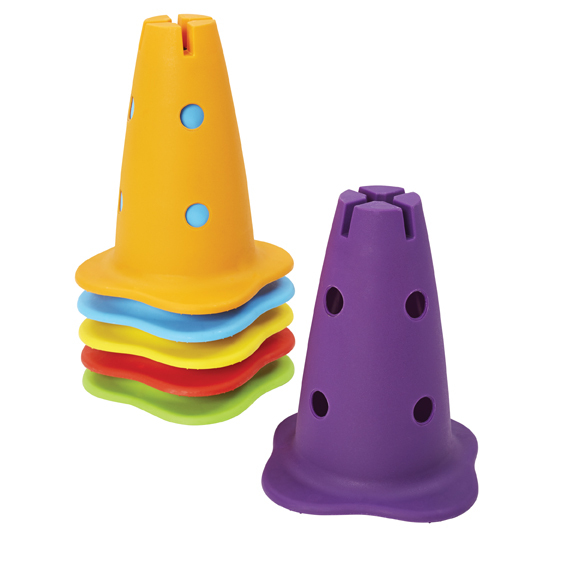 A multi-function set of cones which can be used for countless activities. The holes (25mm) make it possible to use the cones in combination with the set of Sticks – item 2251. 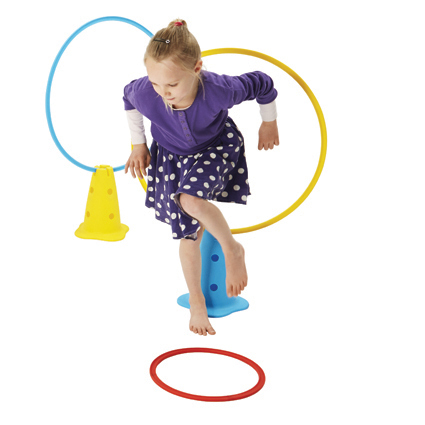 The Hula Hoops (All sizes of Hula Hoops – item codes 2252, 2253 and 2254) can also be placed in the top slots of each cone to provide even more fun and play value. Stylish design in an array of bright colours.